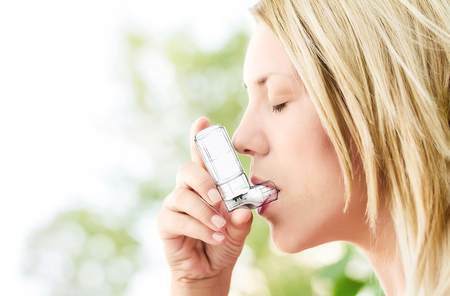 Conventional "non-smart" metered dose inhalers (MDIs) or dry powder inhalers (DPIs) against asthma, COPD and other diseases suffer from limitations such as unreliable and inconsistent drug delivery, lack of dose confidence and no compliance monitoring. 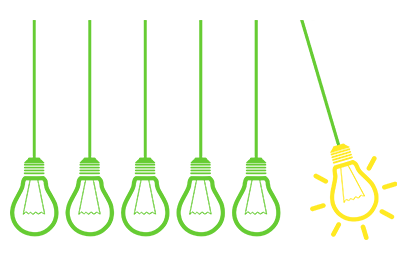 Monitoring of inspiratory flow and volume in smart inhalers overcome these limitation, leading to less waste of costly drugs and improved patient outcomes. 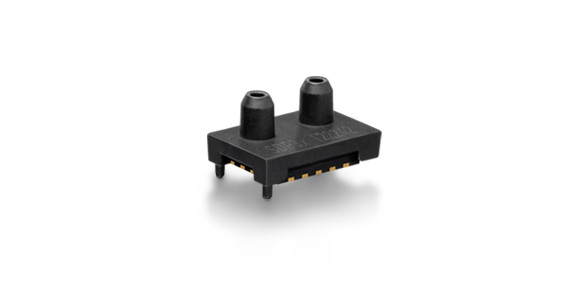 Sensirion's miniaturized differential pressure sensor SDP3x is a semiconductor MEMS version of the traditional hot wire anemometer. 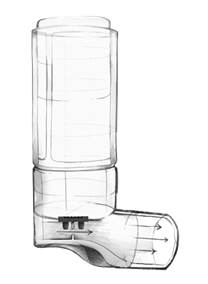 It is easily integrated into a metered dose or dry powder inhaler to accurately measure the inspiratory flow passing through the inhaler and into the patients' lungs (Figure 1). 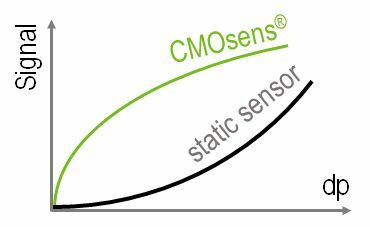 As opposed to diaphragm based differential pressure sensors, Sensirion's CMOSens differential pressure sensor characteristic shows high sensitivity especially at low differential pressures (Figure 2). This allows to reliably measure ultra-low differential pressures and therewith accurately measure the flow passing through the inhaler, independent of inhaler type (high resistance or low resistance MDI or DPI). The measurement of an example inspiratory flow profile is presented in Figure 3. 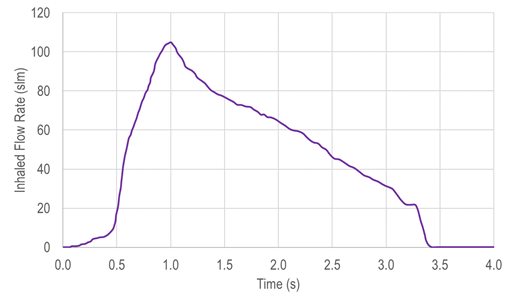 Inhalation duration, flow profile, volume (by integrating over the inhalation profile) as well as many other quantities such as the peak inhalation rate or volume can easily be extracted from the curves shown in Figure 3 and 4. 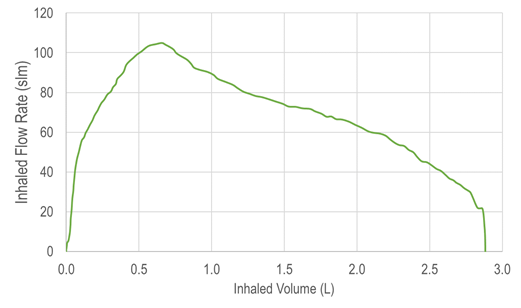 Figure 4: Re-plotting data of Figure 3 with inhaled flow rate vs. inhaled volume. 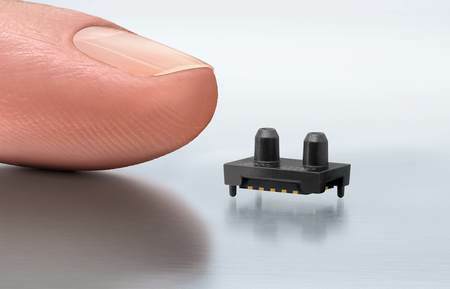 To build a smart inhaler (Figure 5) the Sensirion differential pressure sensor SDP3x series (Figure 6) can be sourced from distributors listed on the Sensirion website. Communicate with the digital sensor over I2C according to the explanations in the SDP3x series datasheet or use the appropriate evaluation kit.